Statoil, still Norway’s biggest company, is now seriously evaluating whether to move hundreds of administrative jobs to a lower-cost “business center,” probably in an eastern European country. The move would be another blow to the Stavanger area where Statoil is based, with economists predicting the region faces at least three more years of declining real estate prices and harder times. Newspaper Dagens Næringsliv (DN) reported on Wednesday that the goal of Statoil’s prospective so-called “outsourcing” is to cut costs and make operations more efficient. More than 2,000 jobs are under scrutiny as candidates for a move abroad. DN reported that a string of meetings have been held within Statoil in recent months where the outsourcing project has been discussed. “Statoil is carrying on the work in evaluating whether there is a basis for establishing a business center in a low-cost country outside Norway,” Statoil’s information director, Knut Rostad, confirmed to DN. He said a decision was expected sometime early next year, in the first quarter of 2016, and that it was “much too early” to say how many jobs would be affected. Local newspaper Stavanger Aftenblad reported last spring that Statoil was considering the establishment of the low-cost center to handle administrative services within communication, information technology, personnel, real estate, economy and finance. Statoil employees now working in Statoil’s Global Business Services (GBS) division and purchasing operations seem most likely to be affected. Statoil has already been through several rounds of staff cuts and DN reported how CEO Eldar Sætre said just a week ago that there were no additional concrete plans for more reduction of staff. He said the company was still working to finish the early downsizing processes, which have reduced Statoil’s total staffing by around 20 percent since 2013. The last round will result in between 1,000 and 1,500 employees leaving the company within the next year. “What will happen after 2016, I don’t know,” Sætre told DN. 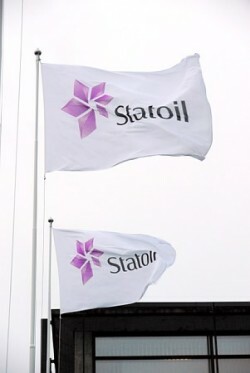 Statoil currently has around 22,000 employees worldwide. An outsourcing would amount to another round of job losses in Norway, many of them likely at Statoil’s headquarters at Forus in the Stavanger area, which already is reeling from cutbacks in its large oil and offshore industry since the price of oil fell by more than half in the past year. Roger Bjørnstad, chief economist at economic research firm Samfunnsøkonomisk analyse, told DN that fresh prognoses indicate real estate prices in Stavanger were likely to continue to fall over the next three years. “The downturn in the oil industry has shown itself to be stronger than we initially thought,” Bjørnstad told DN. While real estate prices are exected to keep rising in other Norwegian cities, not least Oslo, he and his colleagues don’t see much prospect for a turnaround in Stavanger until 2018. Statoil, meanwhile, is moving forward with five projects aimed at extending the lifespan of its Gullfaks field in the northern portion of the North Sea well into the 2030s. Even with oil trading at USD 50 a barrel, compared to well over USD 100 just over a year ago, Statoil sees “extremely cheap extra volumes” coming out of the large Gullfaks field, reports DN. The Gullfaks field has already produced more than 2.56 billion barrels of oil and exported more than 70 billion standard cubic meters of gas, with geologists and engineers now finding ways of extracting more out of its reservoirs. Projects at Gullfaks, reported DN, are among the most profitable in Statoil’s entire portfolio.